The "Old English Golf Ball Marker" is 1.5"inches in lasting Brushed Brass Finish and can be engraved on the back for the ultimate in a personalized golf gift. 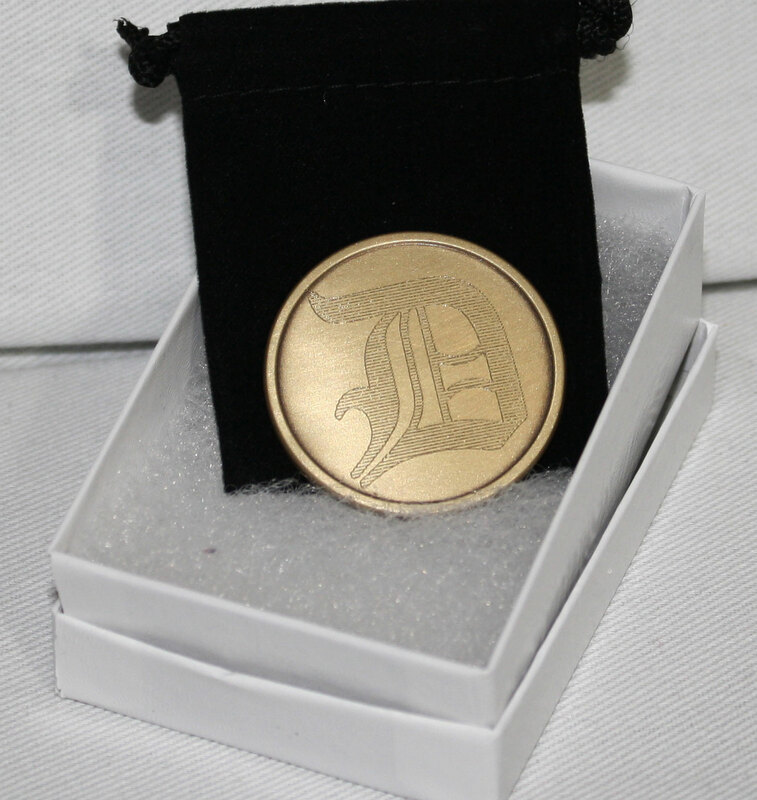 Engraved with your choice of Old English initial on the front and a message on the back. Packaged in a white gift box and includes a velvet bag for storage in their/your golf bag.